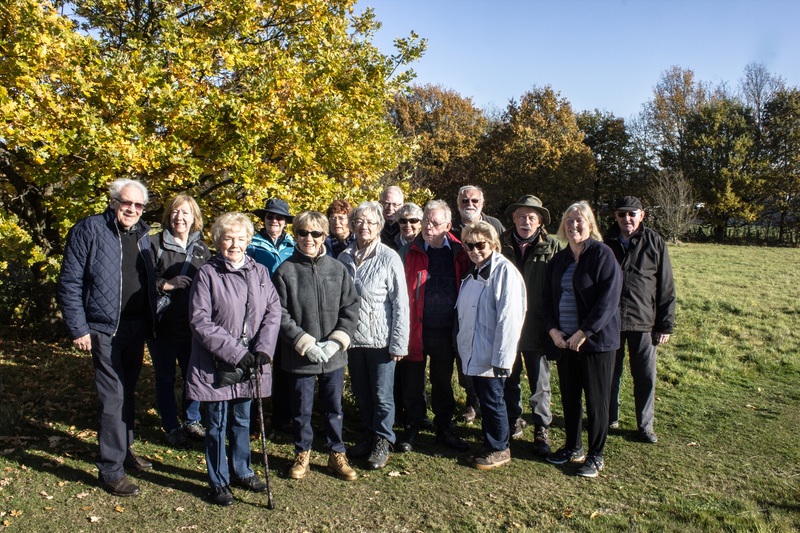 The group which was reformed in January 2006 has since regularly held successful short walks with between with 14 and 34 people taking part each time. At this stage it is felt a group size of 40 is probably the maximum for any particular walk. It is intended that, in as far as is possible walks will take place on the 3rd Sunday in each month and be between 2 and 3 miles in length. Weather permitting the group meet at the chosen venue at 10.15am with the walk starting at 10.30hrs. The start/finish point is somewhere where it is easy to park vehicles and normally where there is a place to obtain at least tea or coffee at the end of the walk. Whilst the routes chosen will normally be restricted to well marked footpaths, boots, trainers or other sensible shoes are the recommended footwear. If you require more infomation contact details can be found on the latest copy of the Newsletter, either a paper copy collected at our meeting or the version which has been e-mailed to members, not the version available to read on this website. The Newsletter will also contain details of when and where the next walk is to take place; you will find the entry towards the end of the list of Groups, under "Walks". Alternatively please make contact using the email address shown in the left hand column of the 'CONTACTS' page (see margin). Walk will be led by Frank & Rose Streatfield. Meet at High Street, Stanstead Abbots, SG12 8AS at 10.15 am for a 10.30 am start. (Parking free on Sunday). Around 3 miles mainly on good paths.